Norah began describing her birthday cake about two months before her birthday. 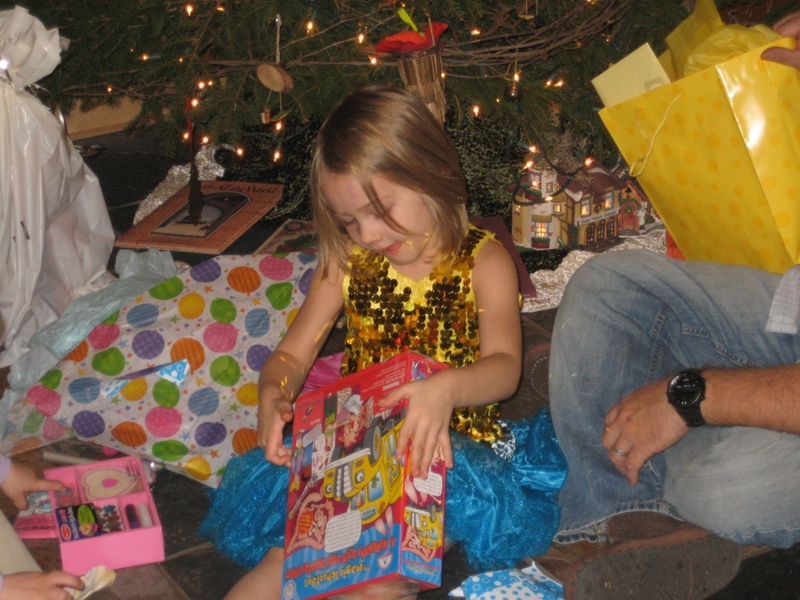 She was extraordinarily specific about what she wanted. She drew a picture and posted it on the fridge. Usually I make her cake but I was intimidated by this project. And frankly, I didn’t understand her description. So we went to the bakery. I thought she would be wooed by other cakes. Or, maybe she would see one she liked. I was wrong. As we wandered from cake to cake, a baker approached us and asked what the problem was. I explained. This wonderful woman was all seriousness as she sat down with Norah to design her cake. Neither of them smiled. Norah answered each question with decisiveness and firm opinion. Who is this child? I was nervous when I picked up the cake. Upon showing it to Norah, she nodded briskly and declared it “perfect.” Scott and I high-fived. 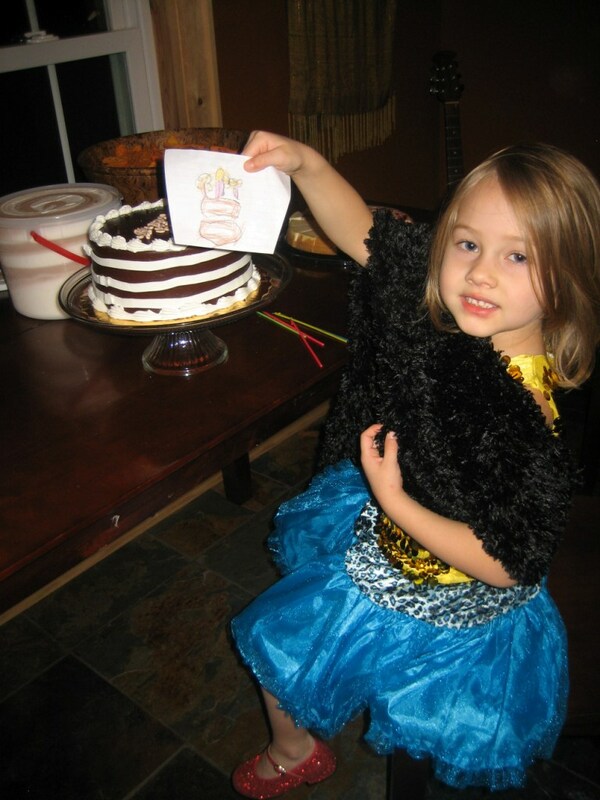 Here she is holding the picture she drew of her cake. We had a small family party this year. Just as the guests were arriving, she bolted to her room, locked the door, and re-emerged wearing the shiny ensemble you see here. Complete with ruby red slippers. She’s growing up so big. Posted in Food, Parenting. Bookmark the permalink.